This wine is obtained from sauvignon and Chardonnay grapes, with a little added Ribolla Gialla, Malvasia Istriana and Picolit and comes form an small vineyard of about three hectares in Ronco del Fortino. The vineyard is cultivated using a traditional system called "cappuccina" with four to five buds per vine and with 4,500 vines per hectare. The first trials with this type of grape date back to the 1973 harvest and the first wine to be put on the market under this name and with this label was the result of the 1975 harvest. This type of grape is harvested quite late in the year, almost two weeks after the normal harvest. Only the best grapes are chosen with a yield of 35 - 45 hundred kilos per hectare. The name "Tunina" refers to the old owner of the land where the vineyard is situated, but there is also a dedication to Antonia (hence Tunina) who was one of Casanova's lovers. 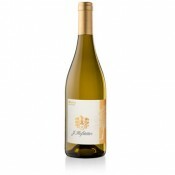 The wine has a brilliant straw-yellow colour with a golden sheen. The aroma is strong, full and very elegant and long-lasting with a hint of honey and meadow flowers. 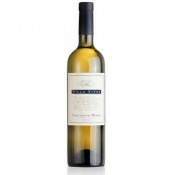 It has a dry, mellow taste that is very well-balanced and exceptionally long-lasting, due to the particularly well-bodied nature of the wine. The Jermann family moved from Austria to Villanova di Farra in Friuli in 1881. They jointly-owned the property to begin with, but later became the sole proprietors. Wine-making emerged as their main activity towards the beginning of the nineteenth century. They are people who work the land, all cut from the same cloth, the sort of people who are never defeated by tiredness and refuse to budge an inch from traditional practices. Silvio's grandfather is the sort of man that having to go to war chose the Austrian army, and having inherited a vineyard, albeit in a gloomy valley, shaken by a cold, dry north-easterly wind, made wine. In 1968 Silvio went to Conegliano to study wine. He had an independent spirit and was determined to shake things up. He returned anxious to change everything. These are no longer heavy, greasy wines, but are now aromatic and well-balanced, made for contemporary tastes, according to contemporary ideas, using contemporary equipment, but with a respect for tradition. Silvio learnt about making white wine at college, he learnt about maceration, and had a definite ideas about the sort of wine he wanted to make. Not just a modern wine, but a wine that would satisfy tastes that had yet to be formed. He argued with his father, emigrated to Canada, returned and succeeded. His wines, and his family, Austro-Hungarian father included, are today among the most appreciated and valued products that Friuli-Venezia Giulia has produced. 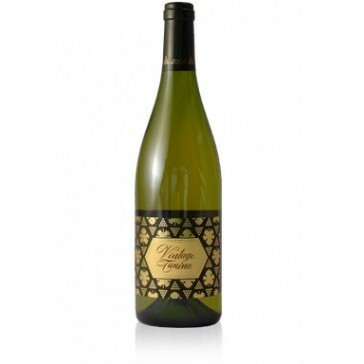 This wine is an ideal accompaniment for a great variety of fish dishes, especially baked fish and fish served with a sauce, but it also goes well with white meat. The combination of this wine and parcels stuffed with fresh salmon, artichoke hearts and parmesan is not easily forgotten. 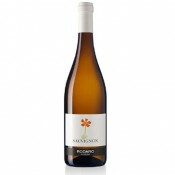 In order to get the most out of this wine's aroma, it is recommended to open the bottle a few minutes before serving. The wine should be served at 10 - 14 degrees centigrade in clear, transparent crystal goblets. Although this is not really a wine that can be aged, if it is kept in the right conditions, it will keep its characteristics until six to seven years from the date when it was put on the market. The bottles should be laid horizontally in a cool, dark, humid wine-cellar.